Getting older isn't easy. My 11 year old is really brutally honest and recently he has been asking me why I look so old. I realize I don't have a lot of time left to start making changes to stay looking young-ish. 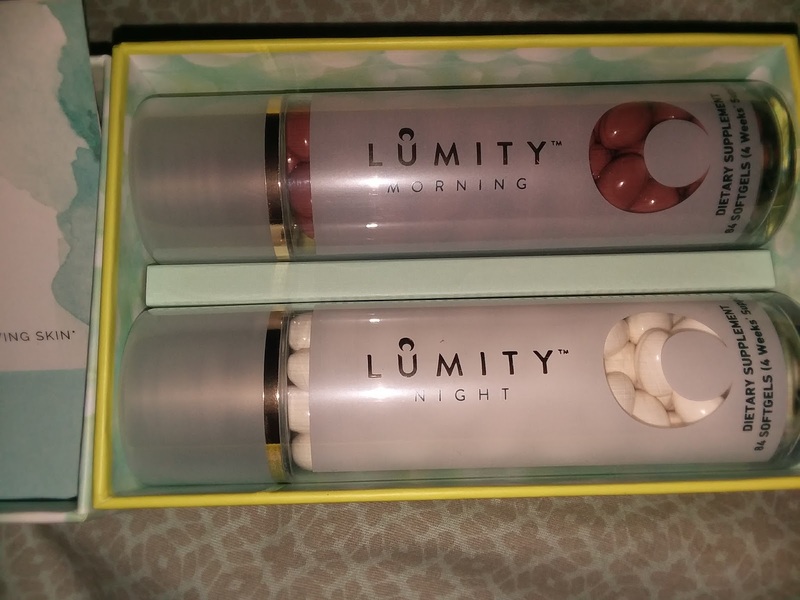 Lumity is a pill set that can improve your skin, energy and overall health by stimulating your body’s defenses. 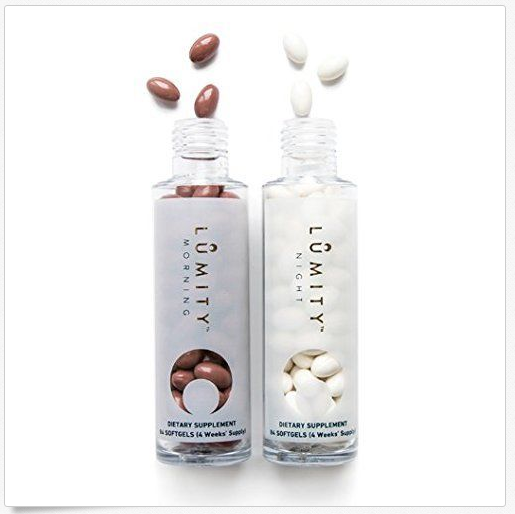 Lumity’s ingredients are scientifically calibrated to sustain youthful health in the body for benefits you can see and feel, well beyond what is possible through diet and lifestyle alone. 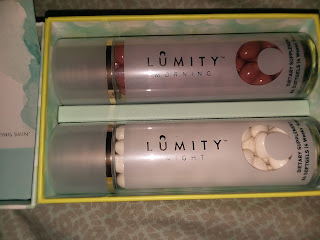 Lumity is less than the cost of a latte a day, and it is so simple to use, simply take 3 soft gels Morning during the day and 3 Evening soft gels before bed. What sets Lumity from others: E.S.E. No more cobbling together a costly cocktail of supplements and calculating dosages. Lumity's team has already done the extensive research, so that you don’t have to. All Lumity ingredients are sourced from natural, quality assured raw materials. Lumity's blend of amino acids, vitamins, minerals and fatty acids are well within the recommended daily guidelines. It’s free of fillers, parabens, caffeine, synthetics. You won’t flush nutrients down the drain and you won’t burp them back up Lumity has maximum bioavailability and absorption thanks to easy-to-swallow gel capsules suspended in flaxseed oil It’s clinically tested, with 84% of women experiencing improved skin, energy and wellness and measurable improvements to their skin. Lumity believes there are 4 reasons why their product is the best. #1: Targeted Approach to Aging Multi-vitamins serve the belief that we’ll take what we need from it and discard any excess. Not true. Or perhaps we’ll use the excess to do an even better job – if enough is good, more is better. Doubly not true. Nutrients operate in balance and according to optimum ratios. We risk exacerbating existing deficiencies by tipping ratios further out of balance and negatively influencing the absorption and function of other nutrients. Lumity takes a different approach – it targets the body’s efficiencies, which naturally decline with age, by providing the targeted nutritional support the body can specifically use to regain what’s eroded by aging. #2: Superior Bioavailability The bioavailability of a supplement refers to how effectively the nutrients it contains are absorbed and used by the body. Multi-vitamin supplements usually have to be taken during a meal in order to be mixed with fat to be effectively absorbed. However, tablets may disintegrate too slowly and fail to provide the specific nutrient at the right intestinal sites, decreasing absorption and potentially causing gastrointestinal upset. In soft gel capsules, all the ingredients are already suspended in oil. The shell will gently dissolve in your stomach within 3 to 4 minutes, and the ingredients, already mixed with oil, are ready to be absorbed directly and completely. #3: Ingredients Work in Synergy Lumity contains many ingredients not found in a multi-vitamin. A unique mix of amino acids, omega fatty acids and herbal actives with carefully selected vitamins and minerals, it's scientifically calibrated to sustain youthful health in the body. Lumity targets each process with a team of nutrients that work together to boost efficiency and undo aging. The morning capsules boost energy, immunity and skin radiance; they clear out toxins, repair oxidative damage and protect DNA. The evening capsules contain an amino acid blend that naturally stimulates the release of human growth hormone which repairs and regenerates your body’s tissues overnight, protecting against glycation and free radical damage and naturally enhancing the rejuvenating quality of a good night’s sleep. #4: Tangible Results Multi-vitamin supplements are taken as an insurance policy in the hope of reinforcing our health and preventing deficiencies. We rarely, however, expect or experience any tangible benefits. In a placebo-controlled, double-blind clinical study on 50 women ages 35‑65: participants experienced improved skin hydration by 41%, firmness by 25% and overall appearance by 32%.